Now is the best time to save BIG on diamond jewelry, with select stores offering huge discounts of up to 60% off during their After-Christmas Sales Events. Stores are discounting many beautiful diamond engagement rings, diamond studs, pendants and bracelets. Check out our INSIDER’S DIAMOND SALES GUIDE to stores offering the best After-Christmas deals, and shop today to find your dream piece of diamond jewelry for yourself or someone special. Select Diamond Engagement Rings (1/2 CT) as low as $499, variety of diamond stud earrings (3/8 -1/2 CT) from $199-379, Diamond Pendants (1/10-1/2 CT) from $299-699, and many other items to choose from. If you are looking for a one-of-a-kind designer diamond engagement ring or diamond jewelry, check out the stunning pieces designed by Victor Canera. Enjoy the latest styles along with antique and vintage looks you will not find anywhere else. Enjoy a huge selection of diamond pendants (1/10 CT) as low as $59.99, as well as a variety of styles on diamond engagement rings 1 CT as low as 1,097, and 2 1/4 CT as low as $2,996. 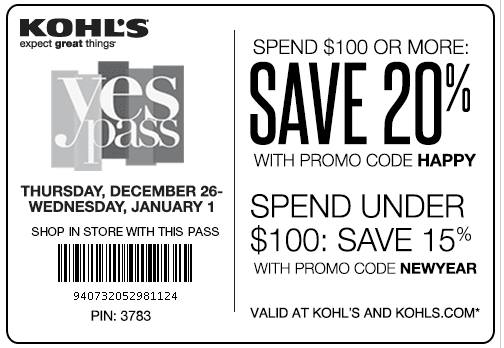 If you are looking for a beautiful diamond engagement ring at a reasonable price, check out the sales at Kohl’s. You can get Princess Cut (1/4 CT) diamond ring for as low as $699, or a (1/2 CT) for as low as 1,237, a gorgeous Round, Three Stone diamond engagement ring (1 CT) for as low as $1,575. Online, you cannot beat the deals and selection of diamond jewelry offered at Blue Nile. Enjoy such beautiful pieces as a Heart Diamond Pendant (1/2 CT) for $692, Circle Leverback Diamond Earrings 18K Gold for $992, Kunzite and Diamond Scroll Ring for $2,030 and much more. 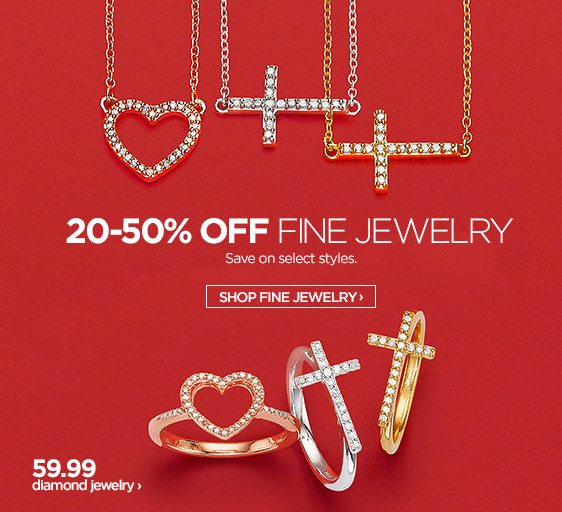 Lord & Taylor is offering some great deals on a wide range of diamond pendant styles: hearts, halos, stars, twists, snow flakes, and many more in white, yellow and strawberry gold; prices range from $300-2,265. A selection of diamond rings and diamond stud earrings are also on sale 50% off. If you are looking for high-end diamond jewelry with unique designs, check out the sale items at Bloomingdales. You will find a Tree of Life Diamond and Yellow Gold Pendant Necklace for $1,100, a black diamond band for $480, a Floral Diamond and Onyx Pendant Necklace for $2,600, a Black and White Diamond Ring (1.3 CT) for $4,600 and many more stunning pieces to choose from. Online, you can score one of the best After-Christmas diamond deals at Netaya. They are offering some incredible deals, such as Diamond Square Earrings (1 CT) for $411, Diamond Pave Band (1.05 CT) for $1105, Diamond Oval Shape Ring (0.5 CT) for $650, and much more. 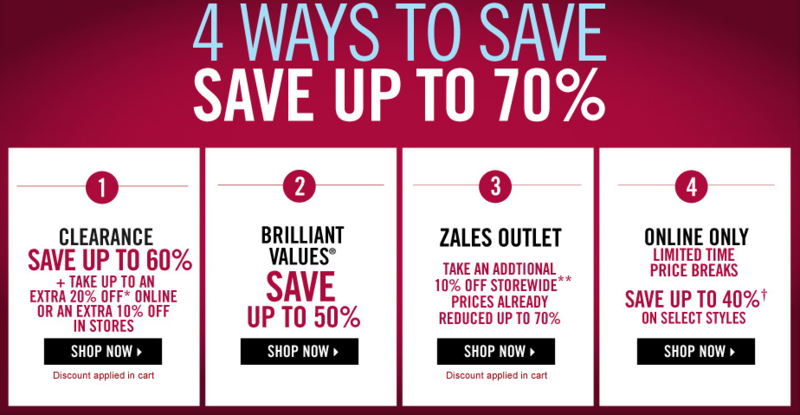 If you are looking for a combination of affordable price and great style on diamond engagement rings and wedding bands you cannot beat the deals at Zales. Many 1/8 -1/2 CT rings and bands as low as $359-$659. Larger size engagement rings are also available at reasonable prices, such as 1 CT diamond rings for as low as $1749-1,999. Beautiful designs include, princess cut, three stone, flower, diamond cluster and round engagement rings.